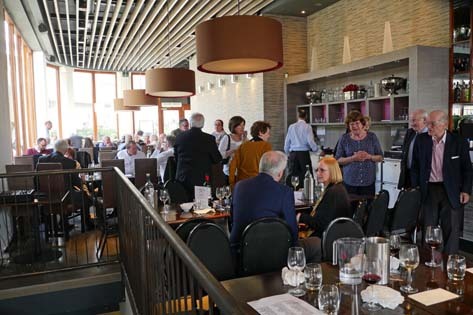 This year’s Spring Lunch was held on Tuesday 12th April in the light and airy surroundings of Smith’s Bar & Grill in Paddington. It was a new venue for us, in a new part of London, and its canal-side location attracted a lot of favourable comment from the roughly 70 people who attended. What’s more, those 70 included five guests, two of whom joined the network on the spot; and at least one other has expressed a strong interest in doing so. The Network needs a regular influx of new members if it is to survive – inviting a guest is a great way to keep that process going.